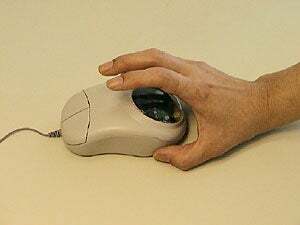 This press release from 2002 shows a Fujitsu mouse that could authenticate logins by scanning vein-patterns in a user's hand. By taking an infrared scan of a person's hand, the system can get a clear picture of their veins - the pattern is then used to authenticate users. Five years later, they have finally launched the product. So what have you been doing for 5 years, Fujitsu?